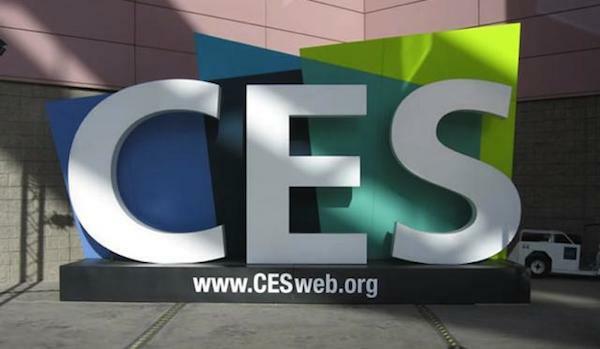 CES is by far the biggest, most talked about trade show of the year. It’s one of the few times of the year that the world’s eyes are focused on technology (outside of Apple product launches). As such, it’s the perfect time to look at the tech sector as a whole and predict what’s coming in the next twelve to eighteen months. There were two distinct things I wanted to absorb during my tour of the show, the overall mood of the sector and the biggest trends emerging from the show floor. Play. Overwhelmingly this year, one gets a sense of fun and play coming from all over the technology spectrum. So many gadgets, brands, and messages are presented in curvy, chunky lettering, framed by bright colors that infuse a sense a fun into the air around them. It feels almost like a reaction against the sleek, clean, and mature styles of the early 2010s. There is an almost childlike wonder in the way products are being presented, and it gives off a very self-assured sense of What and Why. Technology has reached a point where the underlying nuts and bolts are stable enough for there to be the ability to have fun with and revel in the cool stuff that this stuff can do. From levitating speakers to bendy connected light bulbs, the sense of wonder and sheer playfulness in the products are a pleasure to behold. At the same time, the big hitters like Samsung, Sharp, LG and Sony were very much focused around their clean, mature aesthetic, and it very much translated into their decision to put video onto everything. From refrigerators to car dashboards, video is everywhere. It is fascinating to see that a technology that was still entirely limited to CRT TV screens ten years ago is now in door locks and embedded into glass. The quality of the image, and the number of uses of the surface it is presented on, be it curved to transparent is truly mind bending, and it’s fascinating to see an industry unite almost entirely behind the pursuance of one particular type of technology. In terms of the products on show at CES this year, there are a few key trends that stand out. I still don’t think the world in 2015 is quite ready for the connected home, but when it is, the technology will be there and ready for it. From lighting your home to storing the food you eat in it, from feeding the plants to cleaning the windows, every part of your life within your home can be satisfied by one of the thousands of different devices and products on show at CES. These are not just concepts any more, but well thought out, considered offerings that fit within a larger ecosystem of solutions that are all ready to go and do actually provide ways to make the job of running your home easier. Sure there are some gimmicks, but much of it has a dedicated set of functions that know and understand the challenges they are trying to overcome. We are not ready yet, but the connected ecosystem certainly is. Coming back to that sense of play and fascination with the world I mentioned above, the way drones are being positioned is one of the purest ways of embracing that. Parrot are leading a particularly fine charge as the tip of the drone spear, with some truly beautiful products ranging from the micro to the mammoth, all of which can satisfy a distinct customer need and desire. Competitors are generally focussing on one or two sizes of drone to pursue, but make no mistake, the ability to explore the world and have fun in it is very much part of the DNA of this emerging consumer space. The consumer drones space is growing at rapid speed as it is, but it’s continued ascent will be something to watch over the next twelve months. Without a doubt the biggest thing of the show was the competition for producing the best quality image. 4K will hopefully be a success where 3D failed so spectacularly - if manufacturers can maintain their focus on producing a beautiful image and not creating gimmicks around it (like curved screens). What was very interesting to see was the obvious competition between those firms that want to progress forward to 8K before 4K has even got off the ground (something I view as incredibly foolish that risks seriously damaging the market), and those that are focussed on creating better 4K images using new technology. The work being done by the likes of Samsung particularly in this vein is truly amazing, and their SUHD TV is by far the most beautiful screen I’ve ever seen. 4K is not going anywhere it seems, and it seems that the price point is finally coming down enough to make it a purchase worth considering to the average consumer (it’s not as low as it needs to be for mass adoption yet, but it’s getting there). It’s clear that many of the big hitters know this, hence why they’re now producing a refinements in a specific area – 4K – rather than showing off the new and the next thing, the beyond 4K thing that they often do at shows like this. So yes, there is, as always with these things, a battle between refining the current and trying to jump to the next, but I believe that 4K will be sticking around for a while. 8K TVs are simply too big (and too experimental at the moment) to be something that the average consumer would have in their house, while 4K is reaching sizes and price points that are starting to make it a compelling avenue to pursue.